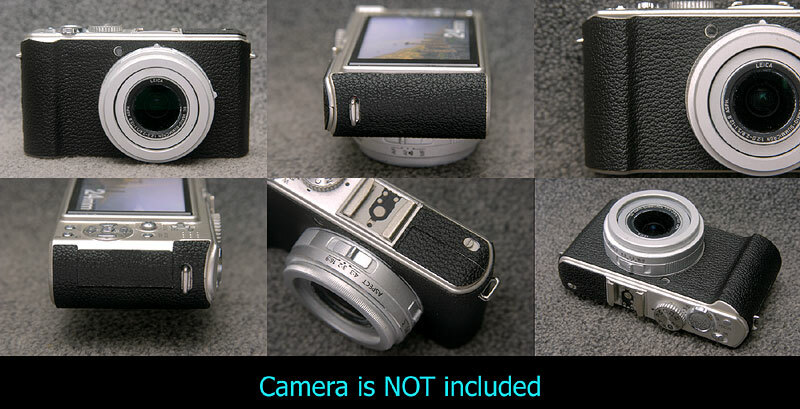 This kit fits to Panasonic LX-3. This kit contains Front 1 pieces leatherette as above image. glued back and you do not need any glue to install, just peel off from base paper and stick on LX-3 body. We do not recommend this kit for White Version LX-3.